A top Republican senator who was once on Donald Trump's shortlist for a cabinet spot, but has since feuded with the president, could be targeted by a primary challenger backed by Steve Bannon. Trump's former chief strategist is reportedly backing primary challenges to several GOP senators, including Tennessee Sen. Bob Corker, according to Politicoand CNN. Politico notes that Breitbart published an article promoting a potential Corker challenger — state Sen. Mark Green — after Bannon returned to the right-wing site. Also in Bannon's cross hairs are Sen. Dean Heller, Sen. Jeff Flake, and Sen. Roger Wicker. CNN also reports that Corker is thinking of retiring next year after two terms. "It's a tremendous privilege to do what I do, and to weigh in on the big issues," the senator said. "But I have not decided what I'm going to do in the future." Corker is currently the chair of the Senate Foreign Relations Committee and is up for reelection in 2018. Corker's remarks to CNN seem to confirm a Trump tweet from August claiming that the Tennessee senator "is constantly asking me whether or not he should run again in '18." Trump's tweet came a week after Corker offered some sharp criticism of the president at a town hall in Tennessee. 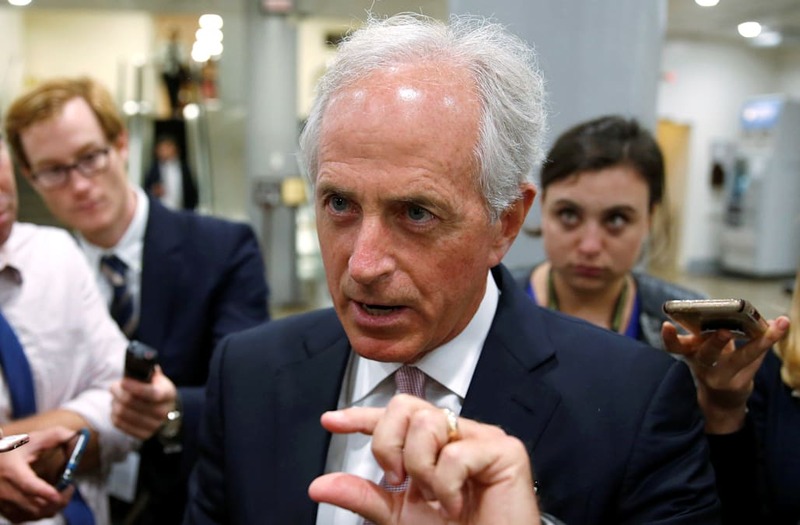 "The president has not yet been able to demonstrate the stability nor some of the competence that he needs to demonstrate in order to be successful," Corker said. "He also recently has not demonstrated that he understands the character of this nation. He has not demonstrated that he understands what has made this nation great and what it is today ... and without the things that I just mentioned happening, our nation is going to go through great peril." Notably, Trump's tweet ended with what seemed like a warning — "Tennessee not happy!"